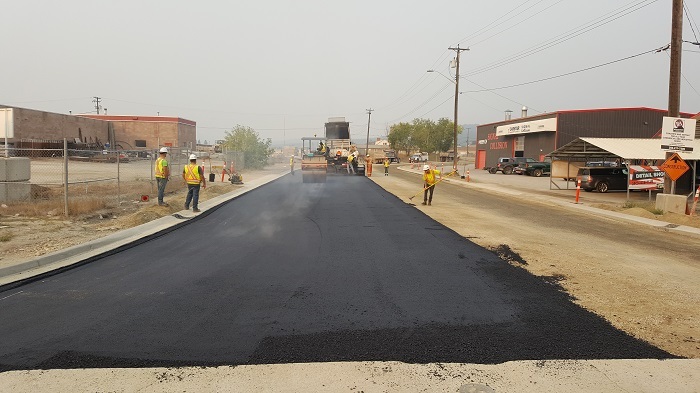 Cranbrook, BC (August 16, 2018) -- Paving is underway on the City’s largest capital infrastructure project of 2018. Starting August 16, BA Blacktop will begin putting down 2 lifts of asphalt on Cobham Avenue from King Street through to Laurier Street. The process will take several days given the depth of asphalt required to handle the industrial traffic as well as trying to accommodate and maintain local access as much as possible. The City of Cranbrook, and it’s contractor BA Blacktop, are asking that everyone please avoid any unnecessary travel in the area and have any residents of the New Lake, Cross Road, and Jim Smith area use Jim Smith Lake road for access. This will not only ensure the work is completed quickly, but will also provide safer working conditions for the paving crew. 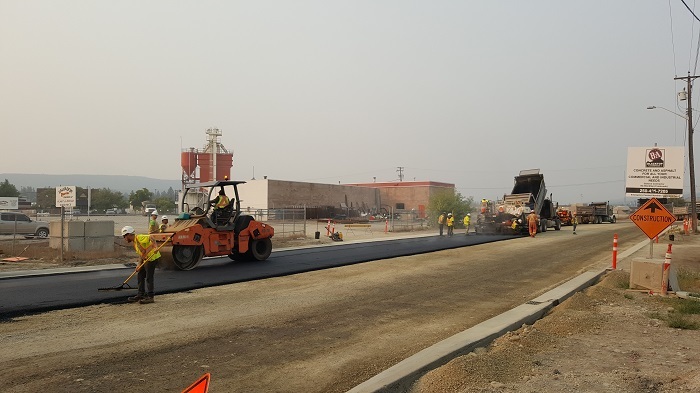 With the paving to be completed within the next week, the City expects the road to be fully open and operational by the end of August, however, there will be some final cleanup and maintenance work happening. This will require the public to keep an eye out for any construction signage and traffic control personnel. When driving through the City and you see vehicles with flashing lights, please be aware that workers are present. Reduce your speed and allow extra space when passing vehicles, where it is safe to do so. For the remainder of the construction season, the City still has a few smaller paving and sidewalk projects underway, as well as some creek and storm sewer maintenance that will keep both contractors and public works employees busy through the fall.